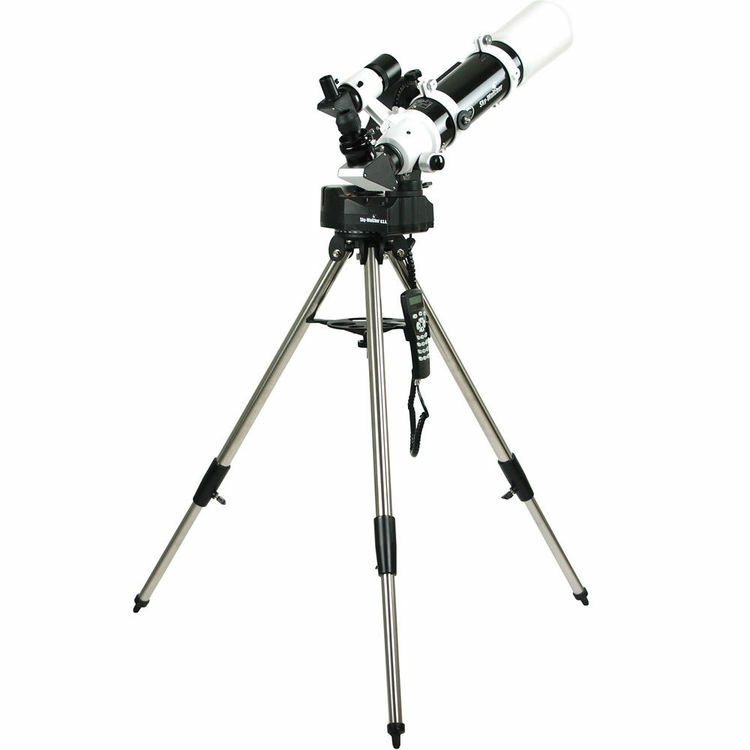 The Pro80ED 80mm f/7.5 Apochromatic Refractor Telescope with AllView Mount from Sky-Watcher provides a complete rig for near-space and deep-sky observation or astrophotography/astroimaging. The optical tube assembly (OTA) features a doublet apochromatic lens system made of extra-low dispersion glass that virtually eliminates chromatic and spherical aberrations. This creates views that are clear and bright with true high-contrast color rendition without distortion or "comas". Complementing the lens system are fully multicoated optics with Sky-Watcher's Metallic High-Transmission Coatings (MHC) that maximizes light transmission. To achieve ultra-precise focusing, the Pro80ED is equipped with a 2" Crayford two-speed focuser. Unlike conventional rack-and-pinion focusers, a Crayford uses a tension system to press the focusing rod against the draw-tube enabling precise control of the focus without backlash. 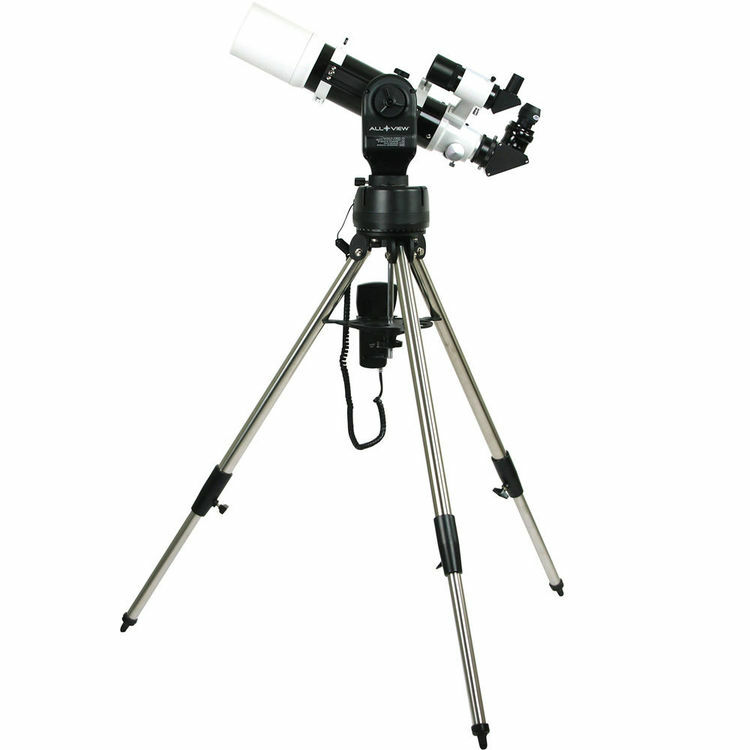 Two 1.25" eyepieces, a 1.25" eyepiece adapter, and a 2" 90° star diagonal come with the OTA. Controlling the OTA is Sky-Watcher's AllView motorized mount. 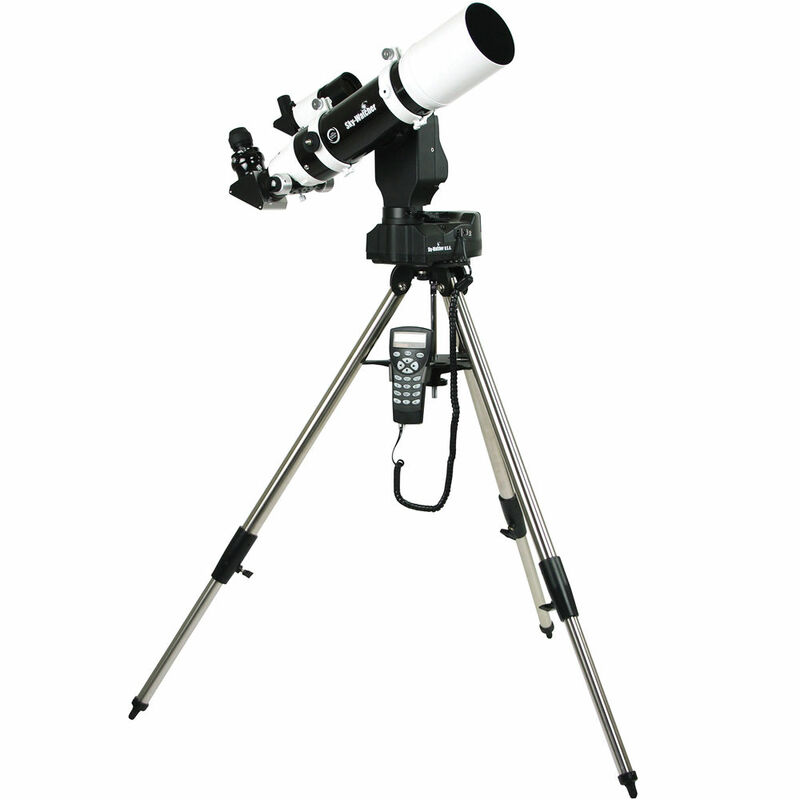 Designed for long-exposure astrophotography, the mount offers low-vibration precision tracking for exceptional imaging or observation. Dual encoders enable the scope to be moved using the controller or by hand without altering its alignment. Its hand controller has an internal database of over 42,900 objects with Go-To capabilities and alignment assistance. 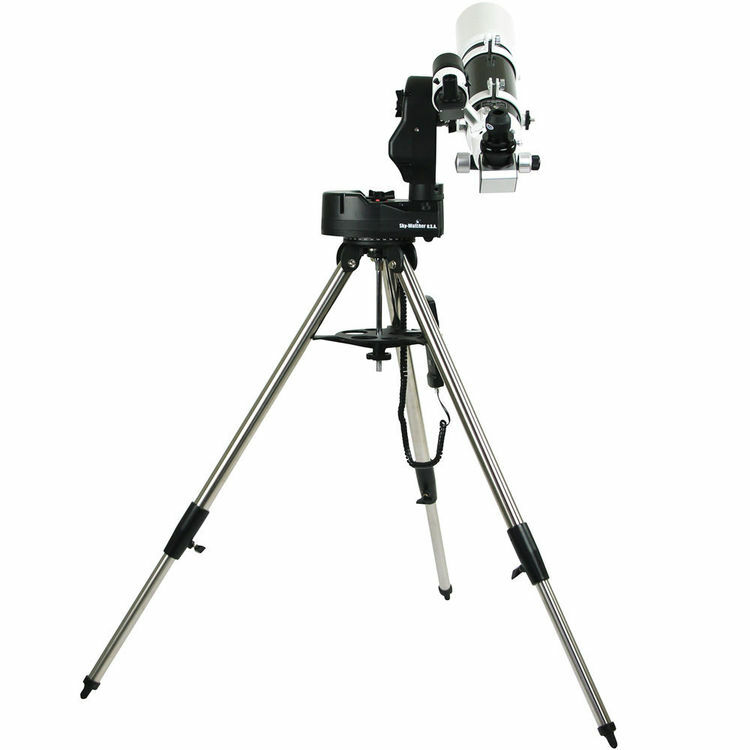 Completing the package is a stainless steel adjustable height tripod with an accessory tray and controller holder. A hard carrying case is provided for storing and transporting the OTA. Box Dimensions (LxWxH) 44.0 x 15.5 x 12.0"